There is a card for Samuel in the Flintshire Roll of Honour in the archives at Hawarden but it is filed with the Meliden cards. He is also listed on the Meliden Memorial. In the 1891 census we find his family in the Towyn district of Meliden. His father Thomas was 45, described as a general labourer, he had been born in Llanasa and spoke only Welsh. His mother Margaret was 32, had been born in Newmarket and spoke Welsh and English. The rest of the family had been born in Prestatyn. they were Thomas 15, Ann 10, Jane 8, John 6, William 3, and Samuel who was 1 year old. The next census. 1901, shows the family at Clwyd View, Prestatyn. Margaret was now 41, and a widow. Her occupation was described as “milkhouse, agricultural cattle.” Annie was now 20, Jane 18, John 16, William 13, Samuel 11, and now joined by Oliver who was 3. Samuel and Oliver spoke only welsh. In the 1911 census the family were still at Clwyd View. Margaret 51,and still a widow is now a dairy farmer. John, 25, worked on the farm, Samuel was a housepainter, and Oliver, 13,was at school. The family now had a domestic servant, Katie Roberts, 20,and we are told that Margaret had had 7 children, all living, and everyone spoke both languages. UK soldiers died in the Great War, accessible on Ancestry,confirms the regimental details,and also that Samuel had enlisted at Conway. His Army Service Records have survived, and tell us that he enlisted for a Short Service Attestation on 10th November 1915. He was medically examined at Rhyl. He was 25 years old, his occupation was described as “carter”, he was 5′ 5″ tall, and weighed 11 stone. His chest was 36″, 38″when expanded. His physical development was regarded as fairly good. He enlisted in the Royal Welsh Fusiliers. The Service Records next show he embarked on SS Queen at Folkestone, on 18th March 1916, presumably after training. He joined his Regiment at Etaples on 20th March, on 1st April he proceeded to join his Unit in the Field, and joined them on 3rd April. On 11th July he was killed in action. The records also contain correspondence between the Army and Samuel’s mother Margaret regarding the receipt of his personal possessions and medals. She also completed a relatives form requiring the names and addresses of all living relatives of deceased soldiers, this was Army form W5080. Margaret is still living at Clwyd View,with brother John, now 32,and sister Jenny Jones 34, who was herself a war widow. Brother Oliver was serving in Egypt with the Army, the rest of the family lived elsewhere. Samuel is also commemorated on two memorials in the Church of St Melyd, Meliden. Mrs Williams would have heard of Samuel’s death before the official notification arrived. From the Prestatyn Weekly July 22nd 1916. Private John H. Jones RWF, Lumley House, gives a graphic account of the British advance. 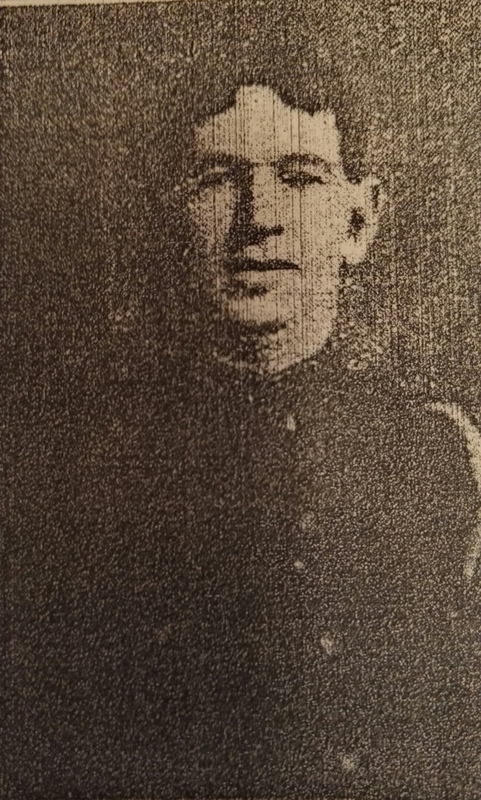 In his letter to his wife he states, “I am very sorry to say that I saw poor Sam Williams shot through the head and killed the other day.” Private Williams was the son of Mrs Williams, Clwyd View, and enlisted in the RWF about the same time as his cousin, John H. Jones. The sympathy of a wide circle of friends is extended to the family. From the Prestatyn Weekly August 5th 1916. Official news has been received by Mrs M. Williams, Clwyd View, notifying her of the death of her son, Private Sammy Williams, who was killed in action on July 11th. It has already been unofficially stated in these columns that Private Williams was seen to have been struck. Private Williams joined the Royal Welsh Fusiliers on 6th November last, and was in his 26th year. A letter of sympathy has also been received from Private J. R. Williams of Carnarvon – an esteemed friend of Sammy – who was side by side with the deceased when he received the fatal bullet. We shall always think of thee.